Lancaster Dental Group: A Wechsler Family Practice is a family-owned dental practice located in Lancaster, California, that’s been providing high-quality, compassionate, state-of-the-art dental care to residents of the Antelope Valley since 1986. 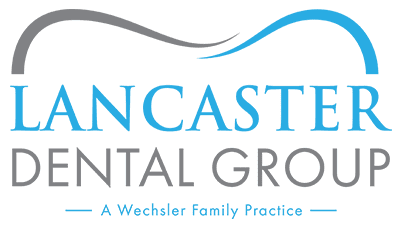 Lancaster Dental Group: A Wechsler Family Practice was founded by Barry Wechsler, DDS, a second-generation dentist whose father, Jack Wechsler, DDS, served his country as an army dentist during World War II. Dr. Barry Wechsler’s son, Mitch Wechsler, DDS, a third-generation dentist, recently joined the practice and is now following in his father’s footsteps in providing excellent dental services to Lancaster and its surrounding communities. The rest of the dentists on the Wechsler team may not be Wechslers themselves, but with training backgrounds from the University of California Los Angeles, the University of Southern California, and New York University, they practice the same sort of highly skilled dentistry with a warm bedside manner that has been a reputation of the practice for over three decades. The practice’s offices are also equipped with all of the latest dental technology, including digital X-rays and intraoral cameras, ensuring that their patients get the best care available in modern dentistry. Patient comfort and care is the top priority at Lancaster Dental Group: A Wechsler Family Practice. The staff is always warm, inviting, and accommodating, and the providers always take the time to educated and explain treatment options and procedures to their patients. Emergenciy dental services are always welcomed, as are a wide range of dental insurances, including all major PPOs, union plans, and veterans association insurances. Lancaster Dental Group: A Wechsler Family Practice is just that: a family practice. Patients are seen as family members, and are always treated with care and compassion on their way back to optimal oral health and happiness.